Wild hogs (also called feral hogs, wild boars, sows, and pigs) can be very dangerous and an extreme nuisance to your living environment. They can damage your lawn, and are a hazard to you and your pets, so it is important to get these wild (or feral) hogs trapped and removed from your property, before they multiply and become a larger problem. 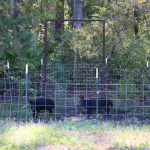 Quick Catch can provide professional wild boar, wild pig, and wild hog control – tracking, trapping, and removal services to Jacksonville and surrounding North Florida areas, including Baker, Clay, Duval, Nassau, Putnam, and St. Johns counties. Never chase a wild hog; they have sharp teeth and can bite, and the male hogs (wild boars) have sharp tusks that can rip your flesh, or badly hurt your pets or livestock. Wild or feral hogs are omnivores, eating both vegetables and animals as food. They can kill and eat your pets or livestock. If you see wild hogs near your home or office, call Quick Catch for professional help. Wild hogs can go miles in search of food. If they have been in your yard, or near your home or office and found food, they may come back for more. 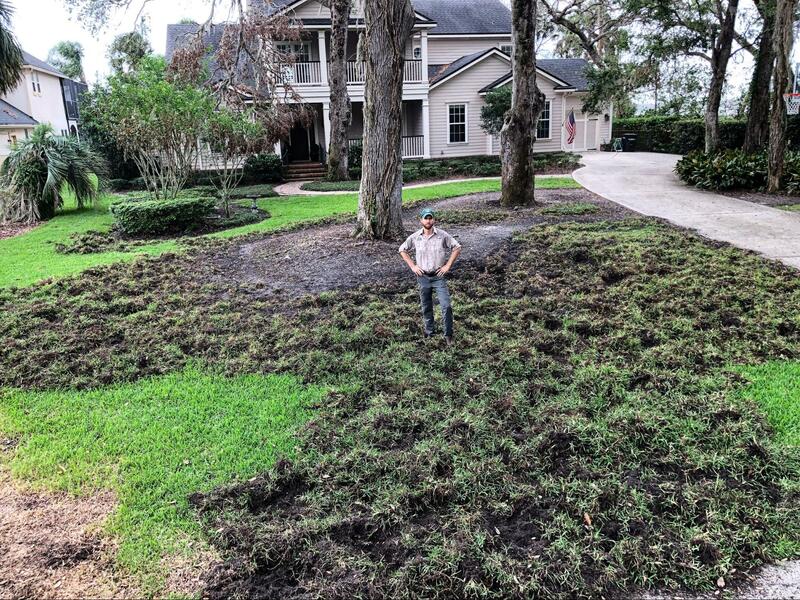 Feral hogs (wild hogs) often dig holes and root around in lawns, gardens, and landscaped areas while they are searching for food in the ground; roots and small grubs and insects, and worms. After they have dug and rooted around, they may leave, but they may also come back to dig up more in search of food. Most diseases carried wild hogs can be shared with and are dangerous to pets and livestock, but some diseases can also be transmitted to humans. Protect your pets, livestock, and yourself; if you see feral hogs near your home or office, contact Quick Catch to get help. Trapping wild hogs is the most effective way to remove them. Quick Catch has a variety of ways of removing wild hogs from your property. Most often we use traps, because shooting wild or feral hogs is usually not allowed within city limits. If the wild hogs become trap shy, we have specially trained and protected dogs, which can help us to hunt and capture the wild hogs. Quick Catch can evaluate your property and provide an Estimate of the cost of providing our Wild Hog Control Services. 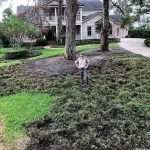 What are ways to Detect A Wild Hog Problem? If you see your garbage cans overturned, and contents scattered, you may have a problem with feral hogs or raccoons. If you see feral hogs near your home or office, they are always looking for food. Hearing noises or rustling in the attic is NOT an indication of a possible problem with wild hogs; pigs don’t climb – they look for food on the ground. Finding gnawed wiring or holes in air conditioning duct work is NOT a common way to detect a feral hog problem; these are likely indications that there is a problem with rats, mice, raccoons, or opossums. How long will it take to trap Wild Hogs? Quick Catch is dedicated to resolving your feral hog problem in the most efficient way possible, however the length of time to resolve the problem varies; each wild hog trapping session is different. 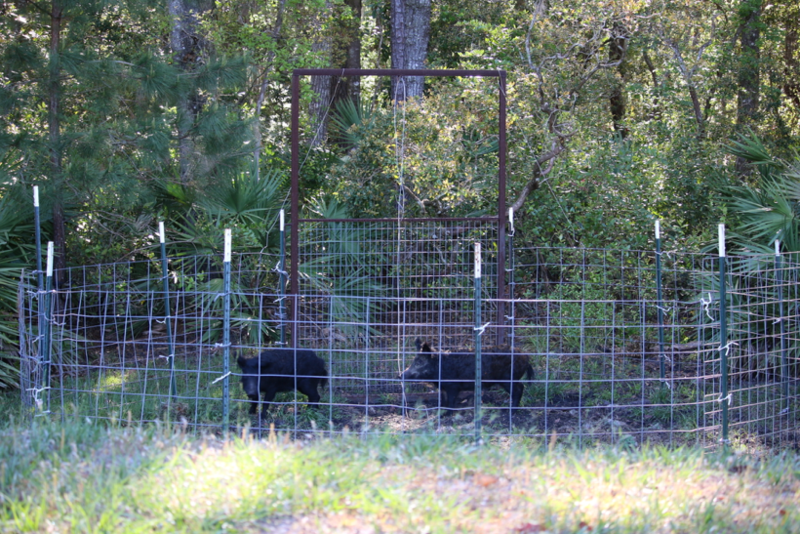 There are multiple considerations that can effect how long it takes to trap the wild hogs.